Home > Events > WIN A TWILIGHT GOLF MEMBERSHIP! WIN A TWILIGHT GOLF MEMBERSHIP! 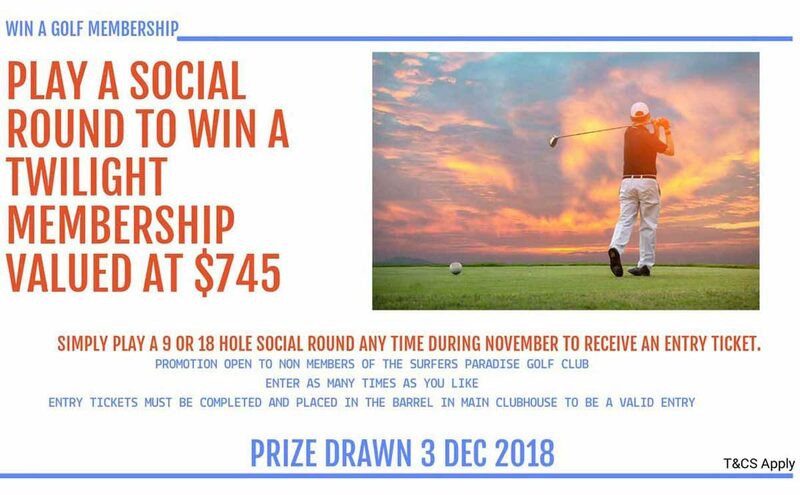 Play a social round of golf any time during the month of November for your chance to win a Twilight Golf Membership valued at $745. Book a game today and pick up your entry ticket at the Pro Shop on arrival, fill out the details and place it in the barrel provided in the main clubhouse. Promotion commences on the 4th of November and prize drawn on Monday 3rd of December at 10am, winner will be notified by phone.